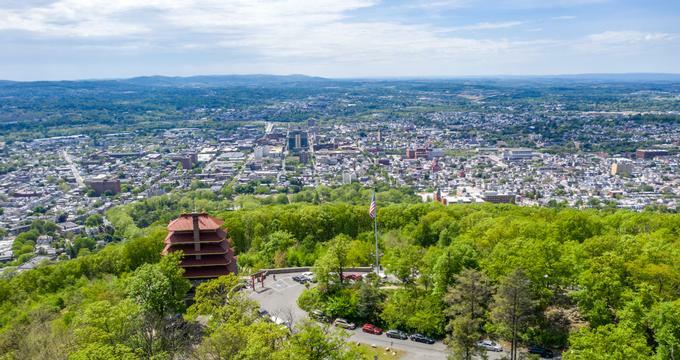 Located about halfway between Harrisburg and Philadelphia, Reading is a city with a long history as the former home of the Reading Railroad and famous frontiersman Daniel Boone, while it is also a modern city with great galleries, museums, sports facilities, and parks. 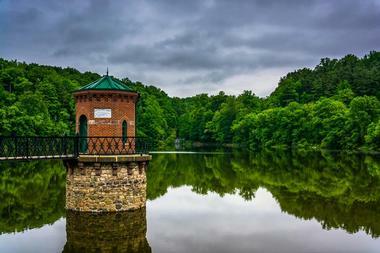 Antietam Lake is a reservoir lake in Berks County located within the Antietam Lake Park about 13 miles from Reading. Surrounded by 643 acres of scenic park land, the lake provides a serene setting for picnics, fishing, hiking, biking, and just enjoying the peace and quiet. The history of Antietam Lake dates back to 1865, when the city of Reading bought a dam and gristmill that had been built on Antietam Creek, along with a majestic waterfall that flows over the 60-foot-high rock. The original Victorian brick valve house was erected on a stone foundation in the lake, with a flimsy wooden bridge connecting it to the shore. It is still standing, as is the charming 1880 caretaker's house. The Daniel Boone Homestead is the site of the birthplace of famous American frontiersman Daniel Boone. The basement of the existing house is the original one of the log cabin Boone's father built in 1731. 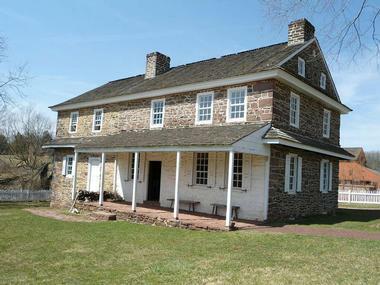 This historical site in Birdsboro, Pennsylvania, is today a museum managed by the Pennsylvania Historical and Museum Commission. The museum tells the story of the early 18th-century settlers in Pennsylvania's Oley Valley as well as Daniel Boone's youth and the daily lives of the Boone, Maugridge, and DeTurk families, who lived on the site. The restored house and barn contain original furniture and farm tools. 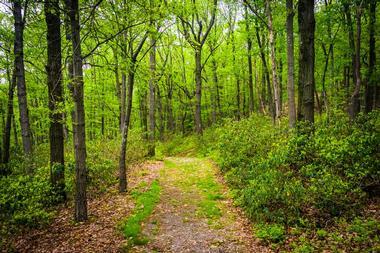 The surrounding area, part of the historic park, is full of pleasant hiking trails and picnic sites. The Genesius Theatre in Reading, Pennsylvania, originally opened its doors in 1971 in a storefront. In 1974 it moved to its current location at the corner of 10th Street and Walnut Street. 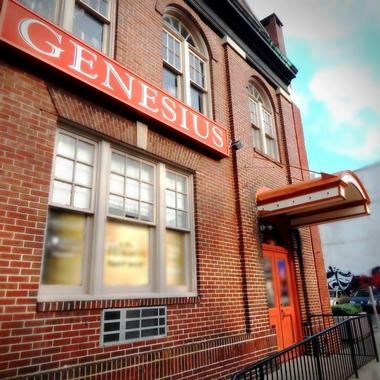 In 2007 the theatre presented Genesius the Musical, an original show created by members of the Genesius Theatre, featuring the story of the Genesius Theatre, its formation, and its early days. Genesius Theatre is a performance venue that specializes in musicals. Its main stage can accommodate 103 guests plus 18 in the balcony and it also serves as a learning center for kids by providing two or three performances for children and teenagers per year as well as 4 to 6-week kids' summer theatre camps. 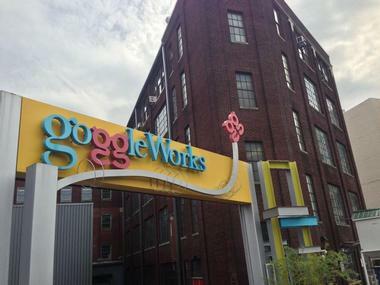 GoggleWorks Center for the Arts is a community cultural and art center located in a 145,000-square foot, five-story former historic Willson Goggle Factory Building in Reading. The center has seven big teaching studios for ceramics, warm and hot glass, photography, jewelry, printmaking, and wood. It also has 35 artists' studios and a number of galleries for exhibitions. The center also houses offices of a number of culture, arts, and creative economy organizations. The center's campus includes a 131-seat theatre that shows art house movies every day as well as a store that sells the artwork of more than 200 artists from all over the country. Located at the field of the regional airport serving Reading, Pennsylvania, known as the Carl A. Spaatz field, the Mid-Atlantic Air Museum is both a museum and a facility for the restoration of antique aircraft. Founded by Russ Strine, the museum collects and restores historic planes, airliners, and rare military and civilian aircraft. The museum's fully restored and functional historical aircraft often participate in various airshows and the Mid-Atlantic Air Museum is known for hosting the annual "World War II Weekend Air Show." 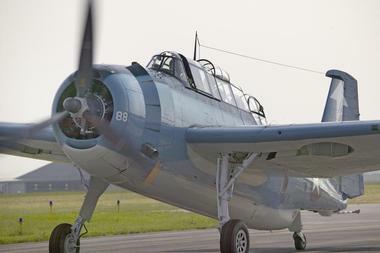 The visitors can ride in the museum's vintage North American SNJ, which is the Navy version of the AT-6 "Texan" used as a military trainer during World War II, or in a Stearman biplane. The rides are available every second Saturday, from May through October. The Nolde Forest Environmental Education Center is located in Berks County, Pennsylvania, on 665 acres of beautiful, dense deciduous woodlands and plantations of conifers. The center offers programs for youth, adult, and school groups as well as individual students. The center grounds are great for birdwatching, hiking, and nature photography. There are teaching stations all over the grounds where students can work, with benches for hikers looking for a break or for visitors who want to enjoy the sounds and vistas of the surrounding nature. A network of trails crosses streams and ponds and passes by diverse habitats full of life. The Nolde Mansion houses the center's offices. Next to the mansion are a garden filled with native wildflowers and the C.H. McConnell Environmental Education Hall. 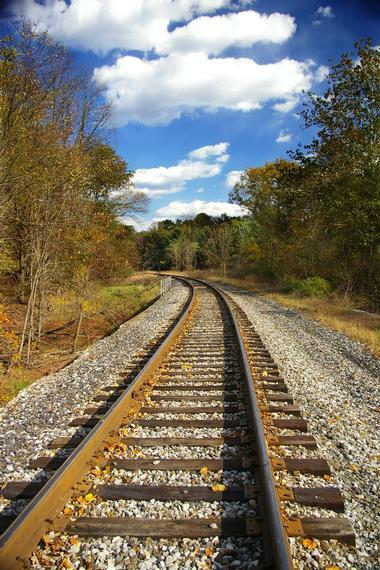 The Reading Company Technical and Historical Society is a non-profit corporation working on preserving the heritage and history of the Reading Railroad. They operate the Reading Railroad Heritage Museum in Hamburg, Pennsylvania. The museum was opened to the public in 2008, and it tells the story of the once-great Reading Railroad that transported coal through Pennsylvania. Once one of the largest corporations in the world, Reading Railroad is today famous for being part of the game of Monopoly. The museum is still in the early stages of development and features vintage locomotives, photographs, railroad cars, documents, and artifacts belonging to the Reading Railroad. Reading Comedy Outlet is a popular spot for the locals to spend a weekend night out. Located in Alley Oops Showroom at Hiesters Lane, the Comedy Outlet can fit up to 175 people in a cozy, pleasant place where guests can not only enjoy the comedians on the program but also avail themselves of drinks and food. Besides well-known comedians, some evenings are reserved for open mic, when everyone can show off their talent for making people laugh. Reading Comedy Outlet has been around for decades, in a different location, but with the same vibe and the same goal: Something different for the night out. The Reading Fightin Phils, known as the Reading Fightins or just Fightins, are a Minor League baseball team from Reading, Pennsylvania. The team plays in the Eastern Division of the Eastern League and their home games are played at the FirstEnergy Stadium. The Fightin Phils have been the class-AA Philadelphia Phillies affiliate since 1967. This is the longest in Minor League Baseball and as a result the team has produced baseball stars such as Greg Luzinski, Mike Schmidt, Pat Burrell, Ryne Sandberg, Ryan Howard, Jimmy Rollins, Cole Hamels, and Carlos Ruiz. 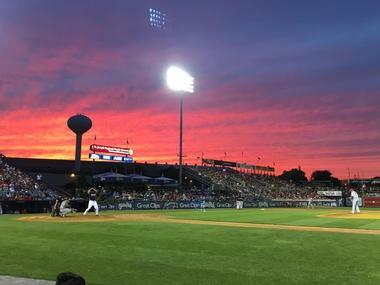 Going to the Fightin Phils games is a popular family entertainment in Reading and there are always surprises, such as giveaways and fireworks. 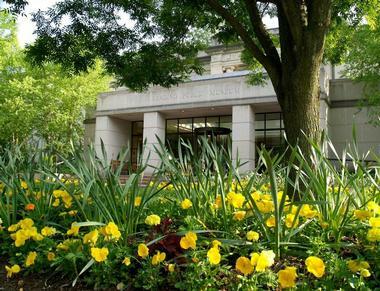 The Reading Public Museum in West Reading, Pennsylvania, started its life in 1913 as the Reading Public Museum and Art Gallery with a collection of antiques and scientific and anthropological materials donated by its founder Dr. Levi W. Mengel. The museum has been at the forefront of participatory and hands-on learning. Today, its galleries feature civilization, natural history, art, and science, with an eclectic collection of exhibits that include paintings, sculpture, armor, and artifacts from world civilizations. The fine art collection has over 700 oil paintings by international and American artists such as John Singer Sargent, Benjamin West, N.C. Wyeth, Milton Avery, George Bellows, Edgar Degas, Raphaelle Peale, and many other big names. The museum also has more than 100 sculptures a well as thousands of graphics, watercolors, and other media. 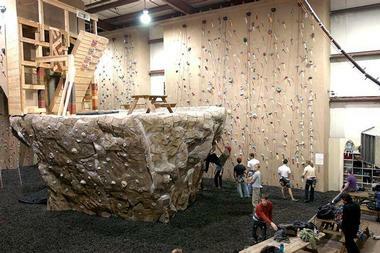 Reading Rocks is a huge indoor gym for rock climbing and related activities such as rappelling and a ropes course. Located in the Muhlenberg Township, Reading, the gym has 35-foot-high walls, the 2,000-square-foot Nicros Custom Rock, almost 8,000 square feet of climbing space, 32 Top Ropes, and much more. The Nicros Custom Rock is designed to look as close to real rock as you can get without the bugs. For experienced climbers, there is equipment rental such as harness, shoes, and chalk bags. For first-time visitors, their staff offers instructions on how to belay, that is, use the rope system. Belay lessons are free and included in the admission ticket. There are also frequent courses, classes, and seminars. 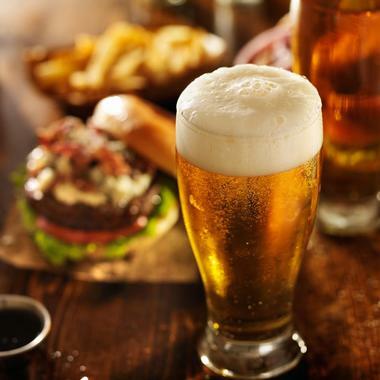 The Barley Mow is a popular brewpub in West Reading with a huge selection of beers and frequent live music. They call themselves "tap pullers, beer geeks, growler fillers, and food lovers," and with over 750 varieties of beers from 100 American craft breweries, they have earned the right to call themselves that. Their pub offers a pleasant, cozy environment for enjoying beer with likeminded people, with exposed brick walls and a stacked-stones bar. Besides their vast selection of bottled and canned beers, they have a huge ever-rotating selection of beer on tap. They offer a small selection of inhouse-made nibbles, but for a full meal, guests can order from nearby Nonno Alby's or La Abuela. The Knight's Pub at Stokesay Castle is a classy spot to spend a weekend night. Located in a beautiful 1931 castle designed in the style of the original English 13th-century castles, The Knight's Pub is a large traditional English pub with beautiful décor and modern amenities. This dining pub offers both indoor and outdoor dining, with an outdoor fire pit for those chilly evenings. 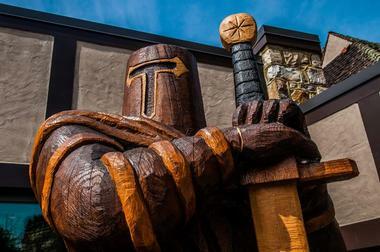 The Knight's Pub is famous for its happy hours, gourmet food, daily specials, and weekend live entertainment. The menu is eclectic, offering something for everyone. The small but well-chosen wine list has wines from all over the world, many offered by the glass. The draft beer selection is huge, as is the list of the original cocktails. The castle, which was originally built as the Heister family vacation home, has been completely renovated and has beautifully landscaped grounds.